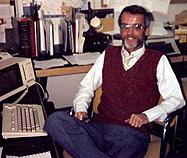 As the new year 1980 got underway, WFEA promoted sales manager Donn Parker to station manager, replacing Scott Norton. That fall Ocean Coast Properties transferred John Van Hoogenstyn to Manchester to become sales manager, from a similar post at its station in Portland, WPOR. WFEA had a lock on the local contemporary music market. The on-air lineup was Neil Jackson (5:30-9:00AM), program director Rick Ryder (9:00AM-noon), music director Keith Lemire (noon-4:00PM), Maureen O'Brien (4:00-8:00PM) and Bob Wheeler (8:00PM-1:00AM). For the first time since the 1950s, female voices were heard on WFEA during the 1980s in abundance. In addition to deejays April Love, Maureen O'Brien, Sheila O'Neil, and Cindy Brooks, female newscasters included Cynthia LaRose, Angela Curtis, Patricia Robel and Mary Dymon. In November 1981 Donn Parker resigned to buy a station in Leominster, MA., so John Van Hoogenstyn was promoted to general manager. WFEA moderated its musical feel and switched from ABC's Contemporary Network to its Entertainment Network. In early 1984 Van Hoogenstyn assumed other duties within Ocean Coast Properties and was replaced as WFEA station manager by Frank H. Adam. Adam, in turn, was replaced as general manager in 1984 by Joseph Gunther. Joe's departure was quick, coming shortly after he accidentally set his office waste basket on fire. Rick Ryder returned to WFEA in 1983 after a stay in Reading, PA. Named operations manager in the fall of 1985, Ryder promoted Keith Lemire to program director. By the summer of 1986, Ocean Coast Properties had owned WFEA for 10 years. Only Henry Rines' New Hampshire Broadcasting Company, the original licensee, had owned the station longer (13 years). to the Sunshine group of Portland, Maine. Sunshine's owner was George Silverman. Sunshine Broadcasting of New Hampshire Inc. already owned WZID FM (95.7 MHz) in Manchester. WZID was born October 2, 1947 as WKBR FM and for all of the 1960s had competed against WFEA simulcasting WKBR AM's Top 40 music. In June 1971 WKBR FM became WZID; in 1975 it was sold by WKBR's owners and moved to a brand new building yards away from its former home along the Merrimack River in north Manchester. WZID spent the 1970s and first half of the 1980s amassing a huge audience with automated beautiful music and a minimal emphasis on personalities. Silverman's company bought WZID in 1984 and began a slow transition to a more contemporary sound. Manchester news veteran Alan Peduzzi, formerly of WKBR, and longtime WBZ Boston weatherman Don Kent were added to the lineup. WZID personalities included Tom Kallechey, Gary Hammond, Dan Colgan, Doug Boucher and operations manager Tom Holt (another ex-WKBR employee). 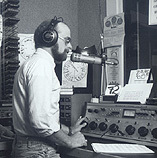 The music formats of the two stations were similar enough that they simulcast their overnight shows, hosted by WZID's John Anthony. Fast forward to July 29, 1986. Sunshine bought WFEA and announced plans to move both stations into a new property. 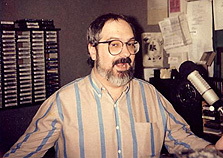 George Silverman also announced plans for WFEA to take advantage of recently-approved FCC technology to convert to AM stereo (as a point of trivia, WFEA had a new jingle package cut in January 1987; it was recorded in stereo but the implementation of the technology was never completed). John Van Hoogenstyn made a return trip to Manchester from Portland, becoming WFEA's general manager. Tom Holt was named operations manager for both stations. By October, renovations were underway on a newly-purchased, 6700 square foot office condo at 500 Commercial Street in downtown Manchester's historic millyard. Sunshine bought half of the top floor of the former Stark Picker's Mill. WZID moved in first, between Christmas and New Year's; WFEA followed in January. For the first time in its history WFEA was able to take advantage of the resources of a sister station. Don Kent's weather forecasts were added to WFEA and in March, 1987, two Manchester news veterans were signed to both stations. Morning news was reported by former WMUR TV anchorman Jim Bartlett; afternoon news was anchored by former WFEA/WKBR reporter Pete Morrison. Bartlett and Morrison both held full-time jobs with the State of New Hampshire but were able to arrange their hours to accommodate part-time news positions. Alan Peduzzi oversaw what was marketed as a news staff of six, including WFEA holdover Peter Clark and newly-hired sportscaster Ken Cail, well-known for nine years at WGIR AM. By March WFEA's operations manager and morning man, Rick Ryder, was gone. He was replaced on the air by Tom Holt until Merrimack Valley veteran air personality Daniel T. Guy was hired. Ken Cail's stay was short; he left in August to host a satellite-delivered sports talk show in Boston. But he returned in June of 1988 as WFEA sports director and quickly became host of the morning show. In October 1988, Steve Newcombe was appointed general manager of both WFEA and WZID. Both stations sustained an unexpected blow when afternoon news anchor Pete Morrison died of complications from a heart attack on November 7th; he was only 46. In November, Bob Bascomb was hired as WFEA's afternoon driver. 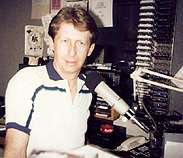 In January 1989 Tom Holt resigned to join a station in upstate New York. In June, Kathleen Allen replaced Steve Newcombe as general manager.